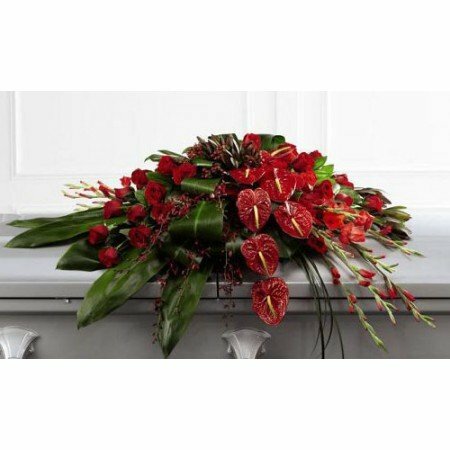 We have partnered with the best flower providers to bring you an unrivalled choice of the best designs and arrangements available. 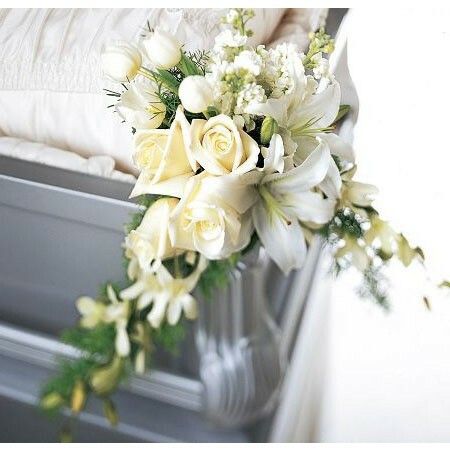 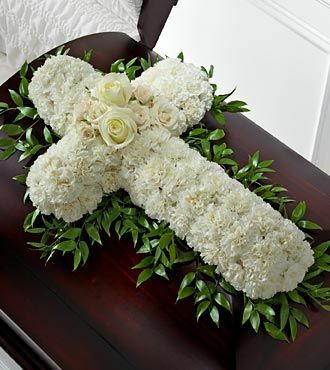 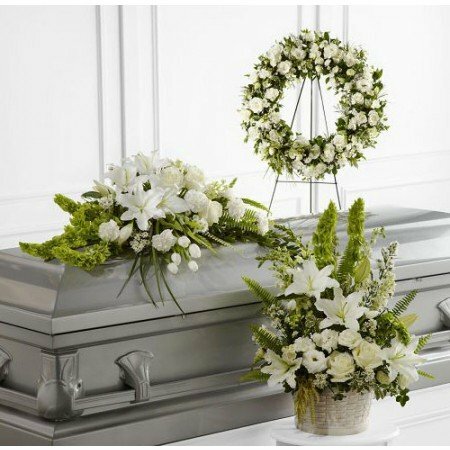 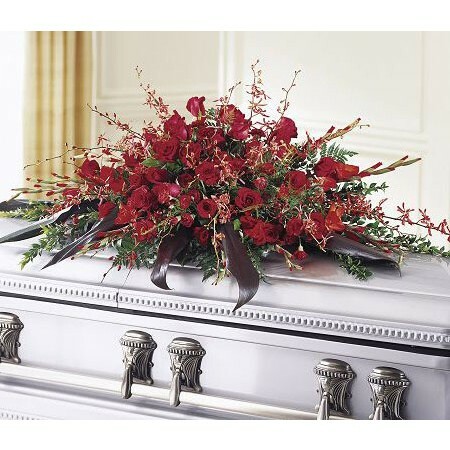 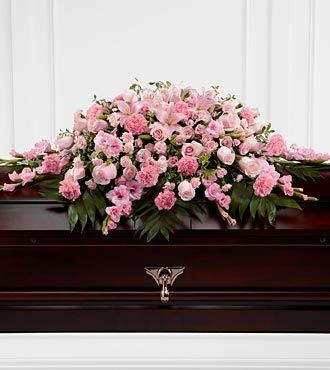 On this page you will find wreaths and sprays for the casket, as well as adornments for the hinge of the casket for when the casket or coffin is open for viewing of the body. 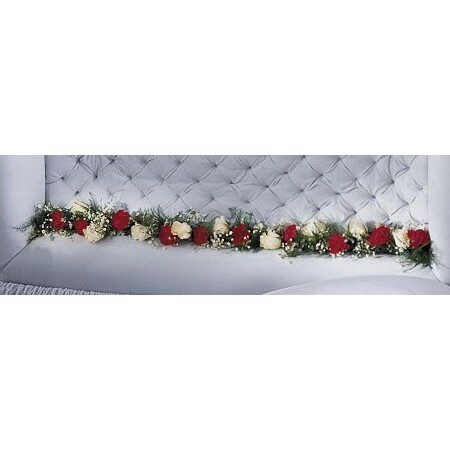 Click images for prices and delivery details. 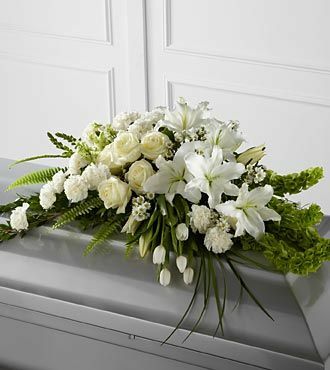 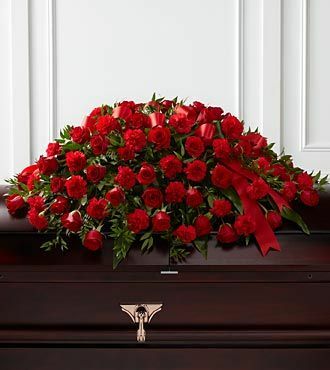 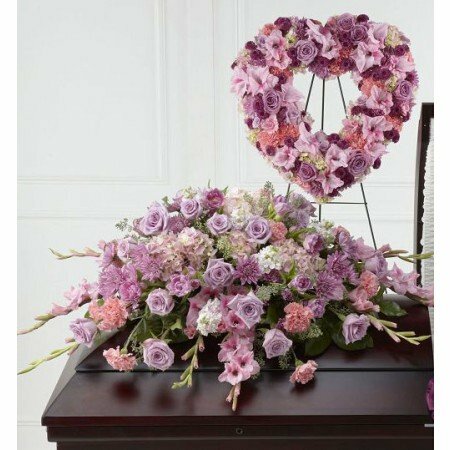 All arrangements on this page are from USA florists - most arrangements available in Standard, Deluxe and Premium versions. 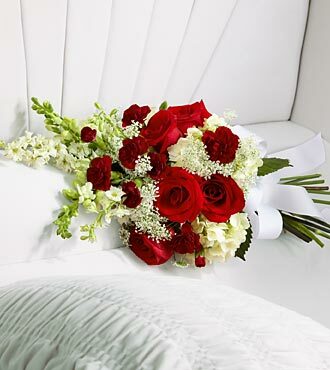 Same day delivery available within selected areas. 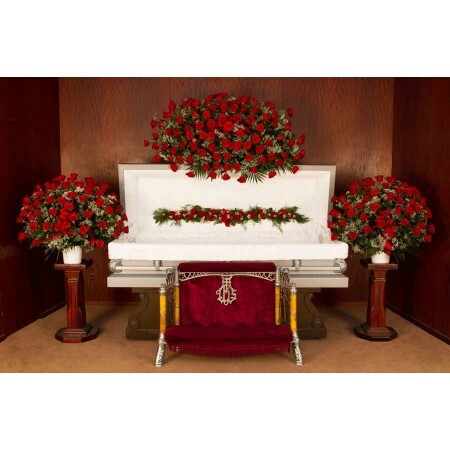 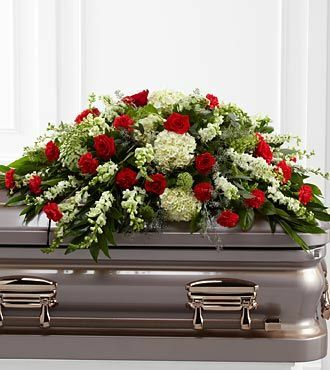 Complete funeral packages available. 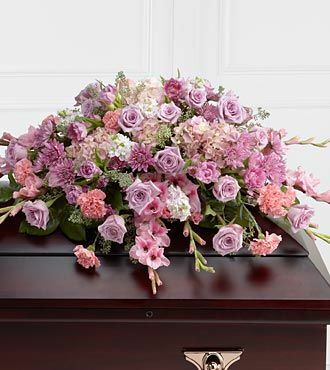 For UK or International deliveries we recommend Interflora UK - Free delivery throughout the UK. 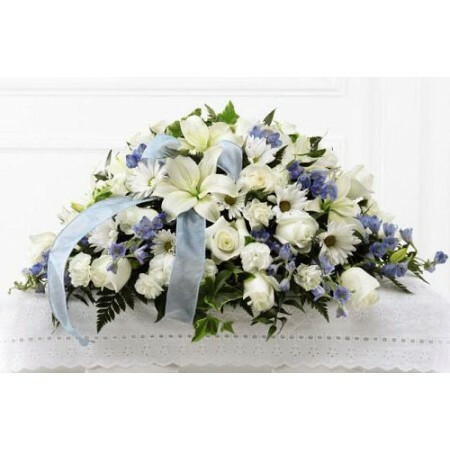 International deliveries also available. 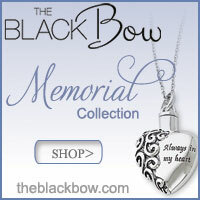 Click here for UK orders. 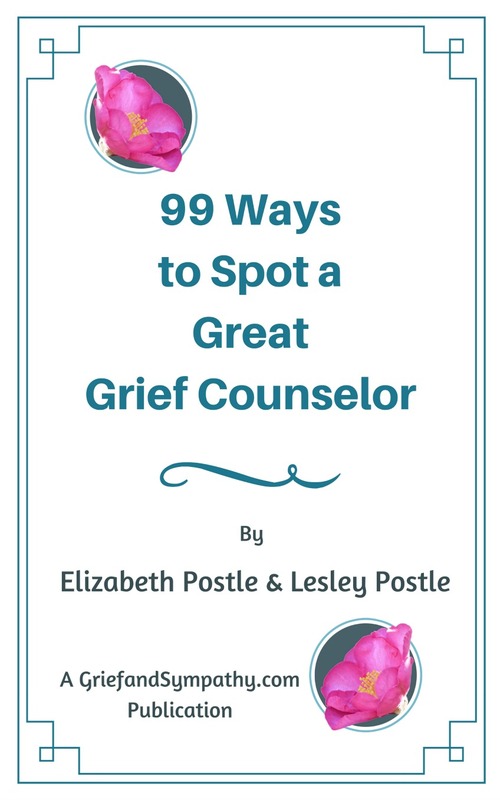 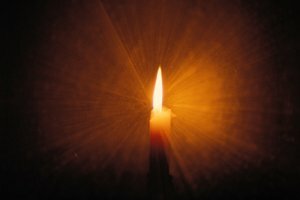 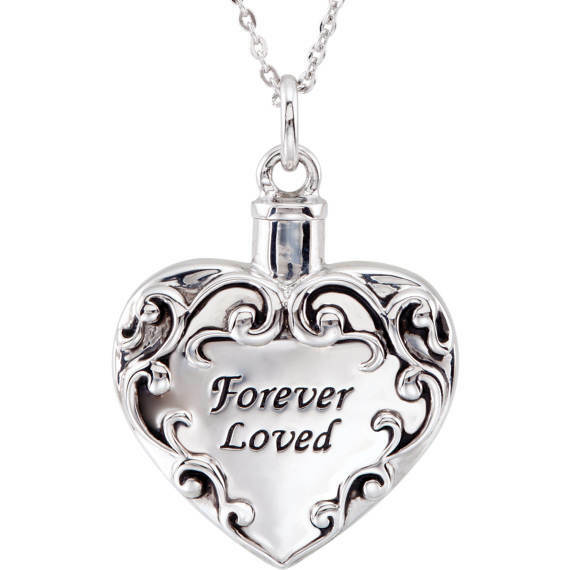 Grief and Sympathy receives a small commission for sales of these products which enables us to keep this site going and support those who are coping with grief. 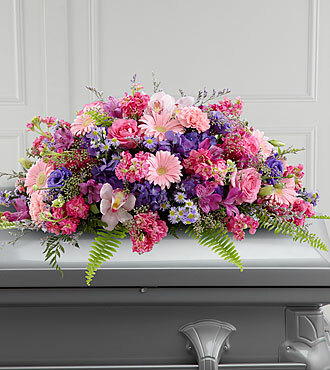 For all other colours including mixed displays, oranges, yellows etc, click on these links. 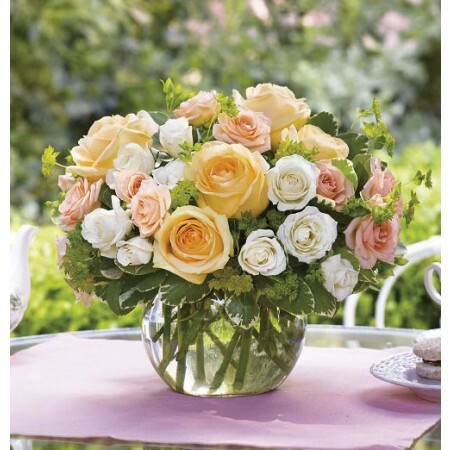 Depending on your location, both companies can provide same day delivery within the USA. 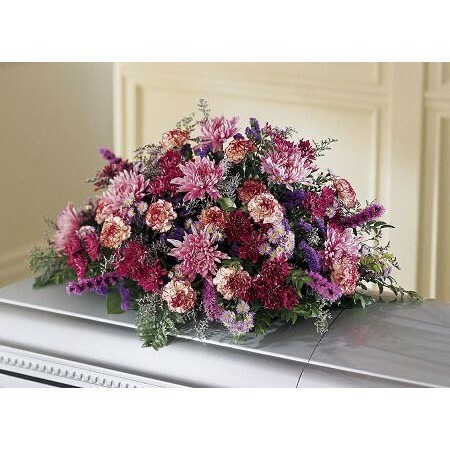 Complete Multicoloured Range - USA Only. 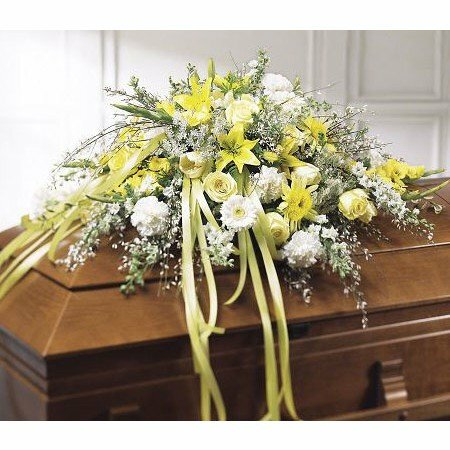 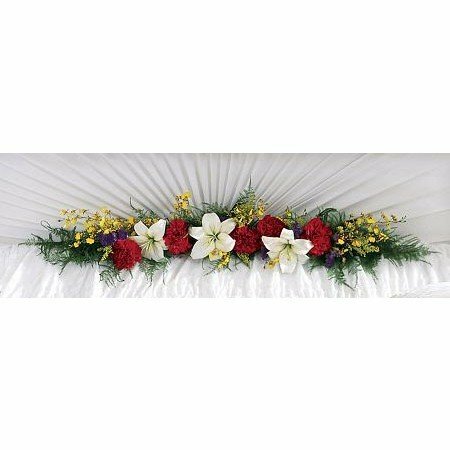 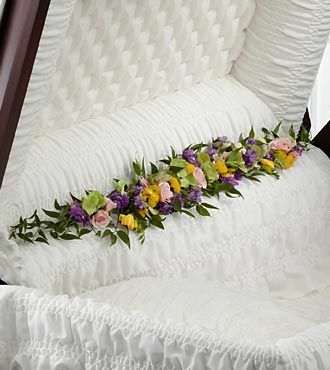 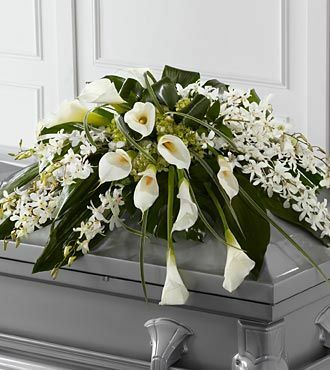 For open coffin viewings of the dearly departed loved one, a garland or thread of glorious flowers along the hinge makes a beautiful display.